The NC State College of Education, along with NC State’s Center for Human Health and Environment, hosted high school teachers from across the state this summer for a new professional development program. 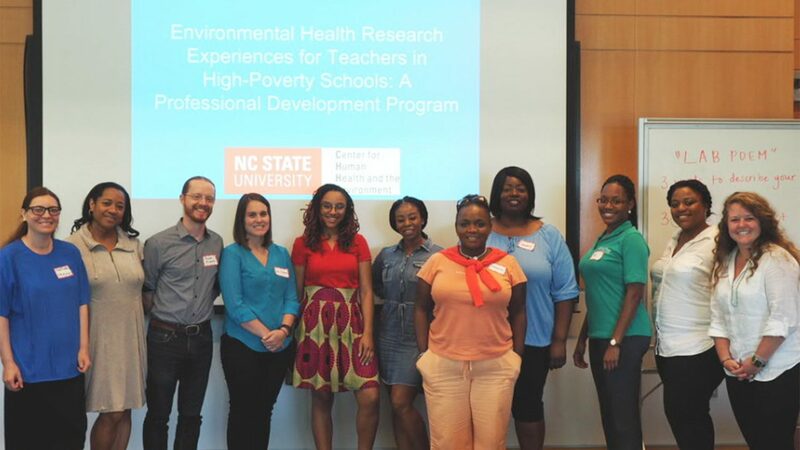 The program, rooted in environmental health research, is part of a National Institutes of Health-funded project, Environmental Health Research Experiences for Teachers in High-Poverty Schools: A Professional Development Program. Margareta Thomson, principal investigator on the project and associate professor of educational psychology at the NC State College of Education, collaborated with Reade Roberts, associate professor in the NC State College of Science, to design and implement the summer program. 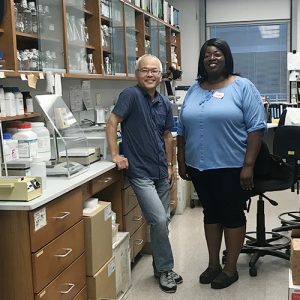 The five-year project selects novice K-12 teachers from North Carolina each year to attend an eight-week summer program to develop scientific research skills and learn science in an authentic environment. Each teacher participant is paired with a mentor scientist and joins them in the mentor’s lab to learn about research in environmental health science. They also engage in intensive educational and outreach activities that include seminars, group activities and community-related projects. The program concludes with a research symposium that allows teacher participants to present their original research projects to an audience. Thomson says exposing teachers to this program not only exposes them to science knowledge but helps develop their interest for STEM domain which can ultimately transfer to students in economically-disadvantaged schools or in minority groups that are underrepresented in science.